Our rites of worship retain ancient structure and tradition, are celebrated in many languages, and are centered in The Book of Common Prayer. All baptized Christians, regardless of background, are welcome to receive Holy Communion, and not only members of the Episcopal Church. We are formed through a central tenet which holds that the Bible is the primary source of our belief system. We also believe that the Bible is interpreted through the prisms of Human Reason inspired by God’s Holy Spirit and the Tradition of the Church as it has been passed down through the millennia. We affirm that committed relationships are intended to be lifelong and monogamous. 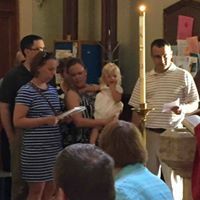 Episcopalians also recognize that there is grace after divorce and welcome those who have been divorced to receive the sacraments.